Perhaps your carrier just started offering 4G service in your area. Now, you're already reading about plans for testing 5G networks. Last year at around this time, Samsung announced that 5G would be ready for the public by 2020. During a test, Samsung used 64 antennas to reach the 1Gbps mark, still short of what would be considered 5G speed. Today, Japanese carrier NTT DocoMo announced that it will partner with a number of hardware vendors, including Alcatel-Lucent, Ericsson, Fujitsu, NEC, Nokia and Samsung, to test out 5G technology. The testing will involve the usefulness of running 5G speeds on high frequency bands above 6GHz. 5G involves data-transmission at a high-speed of 10Gbps, which is 1000 times the capacity of current 4G LTE. The test will determine how well this frequency will support 10Gbps, even if a large number of devices are trying to connect to the network at the same time, in a small area. 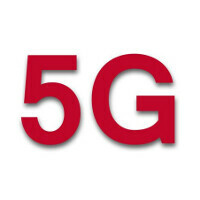 Docomo will begin testing 5G this year, inside at its R&D Center in Yokosuka, Kanagawa Prefecture. Outdoor trials will begin next year. The data that comes out of the testing will be shared with with research institutions and global conferences so that international standards for 5G can be hammered out. The discussions to determine exactly what the standards for 5G will be, should start in earnest in 2016. Nuh, we'll have unlimited of data by then, but get throttled by the time we used 500mb of data. I'm trying to imagine the speed,, crazy!!!! 5g, damn! I can't even get 3g with TMo in my area. So much more could be done with a pervasive, high capacity, low power, super reliable, 4G network.